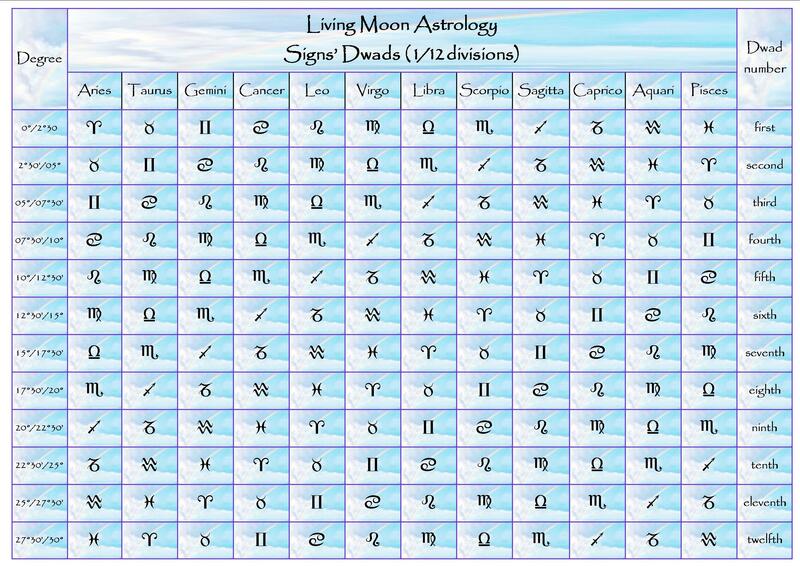 Before I start to describe the qualities of the twelve Signs I would like to clarify an intriguing point regarding their traditional symbology. Western Astrology had its origins and developed in the form we know it it today in mid-latitudes countries in the Northern Hemisphere. Because of this the meaning associated with each Sign seems to be directly linked to to the season of the year during which the Sun moves through them. 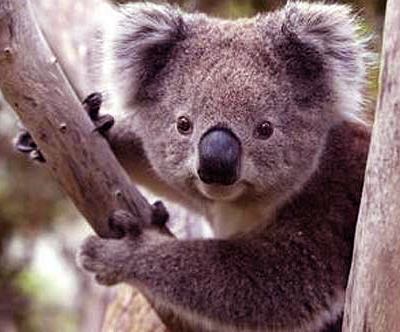 Beginners students of Astrology have often asked me if, for people living in the Southern Hemisphere, there should be a different explanation of the Signs’ names and meaning, in view of the fact that the seasons are reversed down under. My humble answer is No; in the symbolic mandala of the Zodiac the sequence of meaning is the same in southern latitudes as in northern latitudes. Capricorn is the seeding time, Aries the sprouting time, Cancer the nurturing and growing time and Libra the blossoming time (pollination). And the Signs in between represent phases of the same symbolic seasons. Why this should be so is a mystery connected with the fact that opposite seasons are also complementary seasons. So, for instance both Solstice seasons represent extreme, of weather, temperature and length or shortness of days, while both Equinoctial seasons are periods in between, with milder climate, involving the gradual change from one extreme season to the next. They are seasons of transition, no matter where you happen to be or to be born. At the end of the story the proof is in the pudding. Like many other tenets of traditional Astrology, the Signs’ symbology has to be taken the way it has been handed down to us. Why? Because it works. An Aries will not be any less fiery for being born in the Southern Hemisphere or a Libra less indecisive or displaying less social graces. The meaning of these two opposite and complementary Signs should not be reversed due to the seasons’ reversal. 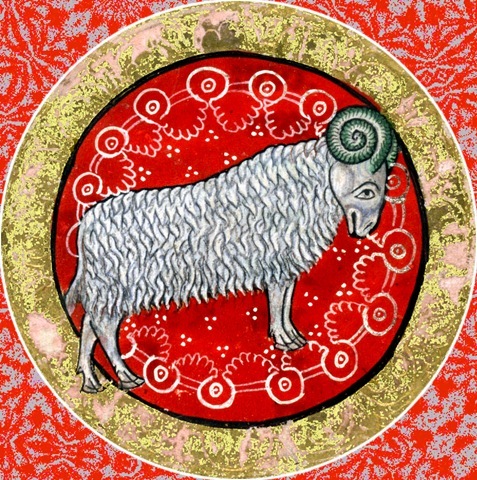 By the same token Aries is the archetypal beginning Sign all over the globe, providing impetus and a strong drive toward activity for people everywhere. The Signs then seem to equate to ‘psychological’ seasons rather than real seasons. 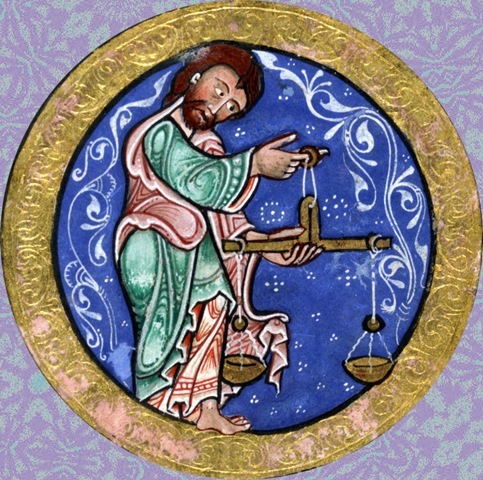 So Aries represents the point of emergence and Libra the mid-point of balance and equilibrium, no matter to which Equinoctial season they are associated with in different parts of the world.We have projected the contents of our collective psyche onto the seasonal Signs, not the other way around. Another proof of this is the fact that not only the Sun is said to transit through the Signs but also the Moon and all the Solar System’s Planets do the same, each at its own appointed speed. When referring the Signs to something else than the Sun itself astrologers obviously are not talking about literal seasons but rather about seasons of the psyche. In an archetypal sense the twelve Signs thus correspond to an organic becoming that permeates all things and events on this terrestrial plane, from beginning (Aries) to end (Pisces). A good article by Australian astrologer Brian Clark on the subjects of reversed seasons can be found HERE. The Cardinal Signs, Aries, Cancer, Libra and Capricorn begin the Seasons. Aries and Libra mark the Spring Equinox and Autumn Equinox, according to Hemisphere. Cancer and Capricorn mark instead the Solstices of Winter and Summer, of course depending also on the Hemisphere. They are motivated, physically and mentally active, sometimes even hyper active. To feel fulfilled and happy they need purpose and goals, something to aspire to and achieve. Negatively they can be bossy, pushy, interfering, manipulative, overly ambitious, agitated and anxious. Positively they are hard workers, natural leaders and role models, great at the job of inspiring less motivated people. Goal oriented action is the key word here. Adept at initiating activities and create something new, they need to develop the will to carry on and complete what they’ve began. Their gifts are initiative, inspiration, the pioneering spirit. Beginners students of Astrology have often asked me if, for people living in the Southern Hemisphere like us, there should be a different explanation for the Signs’ names and meaning, in view of the fact that the seasons are reversed down under. My humble answer is no; the sequence of meaning, in the symbolic mandala of the Zodiac, is the same in southern latitudes as in northern latitudes. Capricorn is the seeding time, Aries the sprouting time, Cancer the nurturing and growing time and Libra the blossoming time (pollination). And the Signs in between represent phases of the same symbolic seasons. Why this should be so is a mystery connected with the fact that opposite seasons are also complementary seasons. So, for instance both Solstice seasons represent extreme, of weather, temperature and length or shortness of days, while both Equinoctial seasons are periods in between, with milder climate, involving the gradual change from one extreme season to the next. They are seasons of transition, no matter where you happen to be or to be born. At the end of the story the proof is in the pudding: like many other tenets of traditional Astrology, the Signs’ symbology has to be taken the way it has been handed down to us. Why? Because it works. An Aries will not be any less fiery for being born in the Southern Hemisphere or a Libra less indecisive. The meaning of these two opposite and complementary Signs is not reversed due to the seasons’ reversal. It remains the same. ARIES is the most actively physical of the Fire Signs, Aries is open, honest, impulsive, instinctual, enthusiastic, full of initiative, daring, idealistic, intuitive, but also often inconsistent, aggressive, impatient, insensitive, selfish. Its naivety and idealism helping others to forgive its undisguised faults. Ardent, uninhibited, easily aroused in love, this Sign enjoys the adrenaline rush of risky adventures, and the victorious feeling of a difficult conquest. He/she can also be inconstant, easily bored, even rude. Novelty will keep the love life of this Sign more interesting. Passion and individual freedom are the driving forces in all aspects of life. Gift of true instinct. 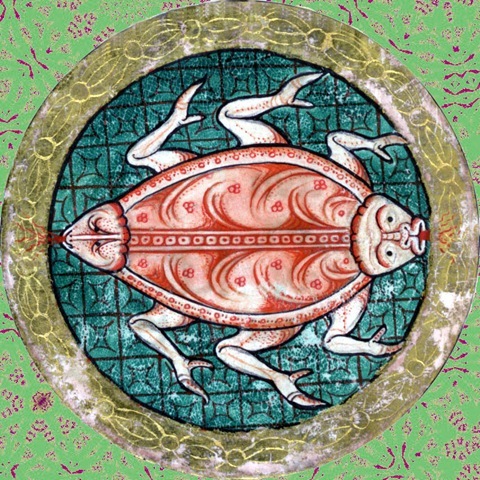 CANCER, most motivated of the Water Signs, works hard to make its position secure. This Sign is known for its sensitivity, psychic abilities and creative imagination. 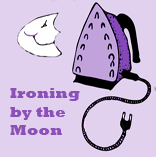 Caring, nurturing, capable of great sacrifices for loved ones and pet causes, this Sign can also become emotionally demanding, even manipulative, seeking general approval, a sense of belonging, out of fear of isolation or rejection. In love Cancer looks for secure affection, someone to mother or to be mothered by, usually forming strong and lasting ties. Moods swings, irrational fears and emotional dependency are the main obstacles to this Sign’s spiritual progress. Gift of giving. LIBRA is goal oriented, seeking to achieve a balanced relationship between the outside world and its own psyche. Endearing manners, fairness and diplomacy are helpful traits. But when too eager to weight both sides of a question Libra becomes very indecisive and ineffectual. Endowed with a keen aesthetic eye, this refined Air Sign may be sometimes too impressed by beauty, missing the essence of people or situations. In love Libra is idealistic and romantic to a fault, often losing sight of its own individual needs for the sake of relationship. It needs to become more assertive, to counteract the ‘peace at all costs syndrome’. Gift of true fairness and justice. CAPRICORN is the most ambitious of the Earth Signs, achieving its goals by careful planning and efficient use of time and resources. Responsible, self disciplined, a natural leader, it can serve its community well. But this Sign is also given to bouts of depression, fear of failure and cynicism. 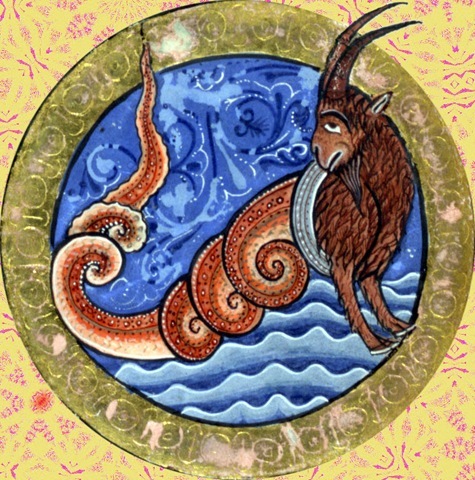 Although sensual Capricorn opts for commitment, married life, children, the protective, parental feelings being strong. While emotional or sexual frustration are sometimes the cause of a mean, cold or authoritarian attitude. Rigidity and an excessive concern with material security the greatest obstacles on this practical Sign’s spiritual path. Gift of endurance. The Fixed Signs, Taurus, Leo, Scorpio and Aquarius are the ‘mid-season’s Signs’. They have to do with concentration of energy. These are strong minded people, with a lot of staying power and often inflexible will. This inflexibility perhaps the greatest obstacle in their spiritual journey. Positively they know how to preserve energy and to use to great advantage their inner resources and organizing abilities. Their stability is often a source of security for others who tend to lean on them. Negatively they can be too lay back, lazy, wilful, stubborn, tyrannical, stagnant and reluctant to change, even when change is absolutely necessary or unavoidable. Their gift is the power of concentration and contemplation. 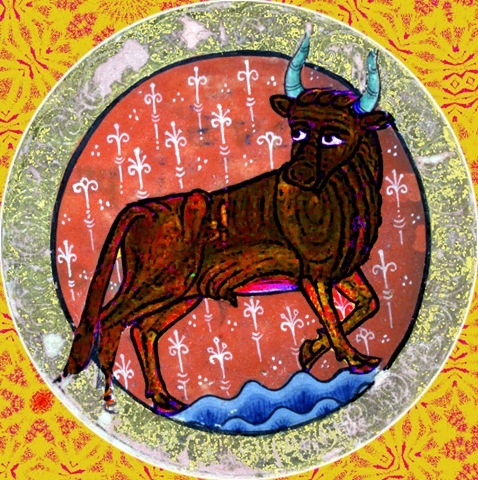 TAURUS is the most fixed of the Fixed Signs, and is well known for its will of iron. But it is also the most relaxed of the Earth Signs, capable of experiencing a sense of deep contentment and peace. Naturally contemplative it may attain to great concentration of thought and intensity of feelings. Capable, artistic, practical, it can become self indulgent and lazy if motivation is lacking. In love Taurus is tender and sensual, capable of constant affections, but it needs to trust the complete loyalty of the other person not to become controlling, jealous and possessive. A wilful, unbending, intolerant attitude is this Sign’s greatest challenge. Gift of concentration. LEO is the most emotional of the Fire Signs. This Sign is cheerful, fun to be with, warm hearted, giving away generously of its abundant vitality. It is self confident, possessing great organizing abilities and an unbound creativity that command respect. The heart rules the head in this spontaneous Sign. But it can be also selfish, domineering, vain, immodest, credulous, proud, fond of social display, patronizing, with a rather fragile ego. 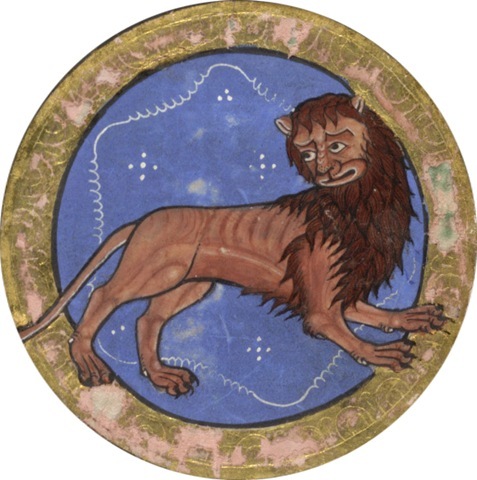 In relationships Leo needs demonstration of love, admiration and esteem. Passion coupled with loyalty and stability. While excess of feeling, anger, pride, selfishness are the challenges. Gift of vision (the Sun god). SCORPIO is the most wilful, least ‘fluid’ of the Water Signs, aware of both the depths and highs of human feelings. An insightful mind and subtle psychic powers incline Scorpio to probe mysteries, looking for secret motives in people’s hearts. This tendency gives Scorpio depth of understanding, the moral strength to support others, but also a suspicious heart that needs to learn trust. In relationships Scorpio seeks real intimacy, passion, loyalty, but it can become possessive. Love is often a transforming experience. This Sign has the gifts of psychological penetration, sense of justice, resilience to hardship, depth of feeling, loyalty to own beliefs. AQUARIUS is the most concentrated of the Air Signs, a quiet achiever, non aggressive, often physically timid. Original thinker, with an impartial mind. Prone to ideologise everything, if contradicted its mind can become unmovable. Considered of others, but also naïve and idealistic, it expects the best from human nature, often becoming disappointed by a not so perfect reality. In love Aquarius is fair, friendly, also emotionally detached, dispassionate, or uncaring, undemonstrative. It would prefer someone very independent. Indifference, scepticism could limit its spiritual progress. Gifts of refinement, true democratic spirit, teaching abilities. The Mutable Signs Gemini, Virgo, Sagittarius and Pisces are the ‘end of season’s Signs’, symbol of their capacity to change and adapt to new circumstances and relationships. These are eclectic, multifaceted people, who can learn readily from past experiences and mistakes, but who may also lack initiative and staying power (qualities of the Cardinal and Fixed Signs). Negatively in fact they tend to waver and doubt, thus becoming ineffectual, easily led, irresolute, even untrustworthy. They tend to scatter their energies about, becoming wasteful and confused, a sense of direction and clear goals often lacking. They are adept at jobs that require a quick mind, dexterity and rapid response to people’s thinking. 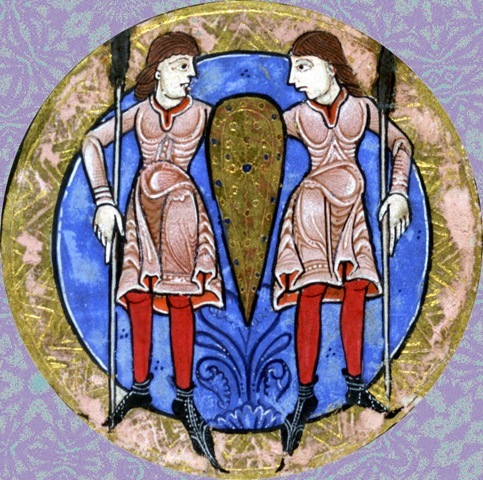 GEMINI is the most versatile of the Air Signs, needing constant mental stimuli to satisfy its restless, curious temperament. Able to learn from everyone, this Sign is socially popular, having the innate talent to be a different person to all. In relationship it needs independence and a light hearted atmosphere. When things become too predictable Gemini can become fickle, the temptation to ‘move on’ being often very strong and conducive to many short lived relationships. Restlessness and a certain fear to explore the depths of feelings are the downside of this easy going character. Its best qualities: sense of humour, intelligence, facility of expression, artistic gifts. Its best qualities: sense of humour, intelligence, facility of expression, artistic gifts. 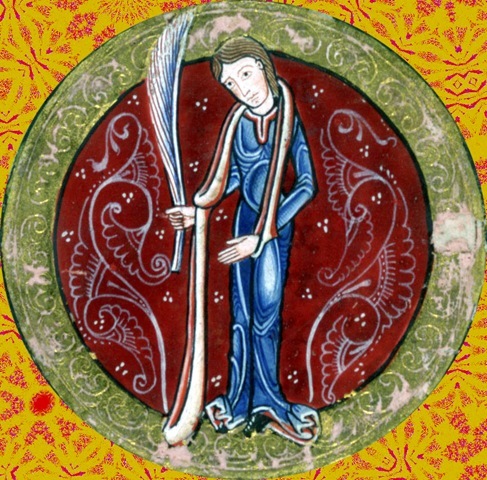 VIRGO is the most flexible of the Earth Signs, willing to put its practical skills at the service of other people. Unassuming, rather timid by nature, it often prefers to live a retired, even solitary life. Routine and work may be boring to some, but not to a strongly Virgonian person who will enjoy the beauty of method and ritual. 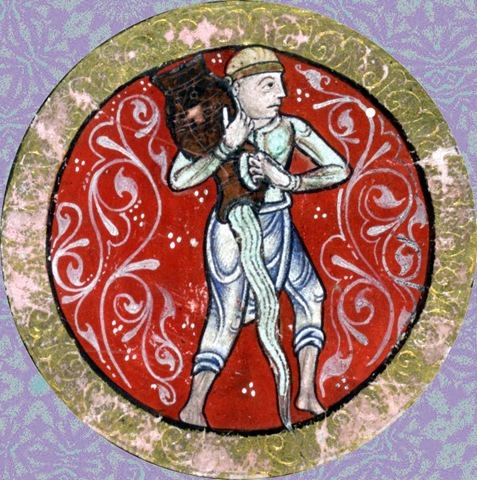 If emotionally unfulfilled Virgo can become too critical, exacting, cynical, calculating. In relationships it needs a lot of encouragement to overcome shyness and emotional/sexual blockages, wanting to feel needed and useful. Best qualities: exceptional manual dexterity, and a true modesty that shines despite great talent. SAGITTARIUS is the most intuitive of the Fire Signs, displaying an uncanny ability to foresee the future, uttering prophetic words, often unwillingly. 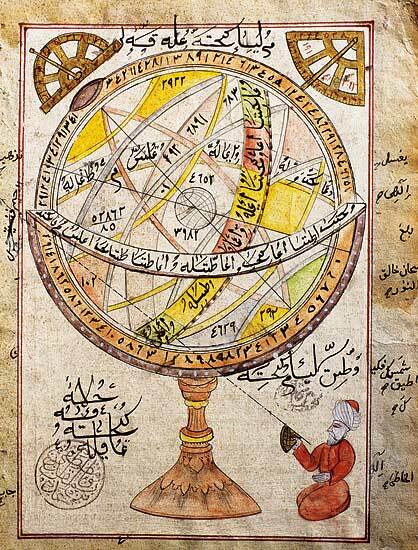 It is a seeker after knowledge or adventure or both, knowledge itself being an adventurous quest for this Sign. Optimistic, open, gregarious, frank, fond of debate, a true believer. But negatively it can be wasteful, opportunistic, uncompromising, blunt, overbearing, unreliable. 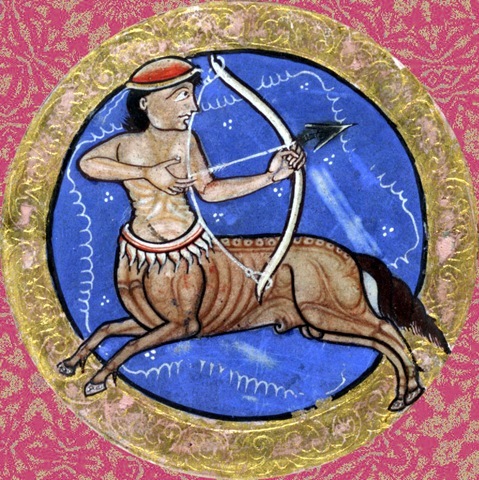 Sagittarius needs freedom and philosophical agreement in relationships, risk taking, fun. Passionate lover, but often non committal, if you love a Sagittarius let him/her free. Gift of the last Fire Sign ‘the questing spirit’. PISCES is the most adaptable of the Water Signs gentle, creative it needs to merge into something larger than itself, be it a crowd, a creed, the psyche, the Spirit or Nature. 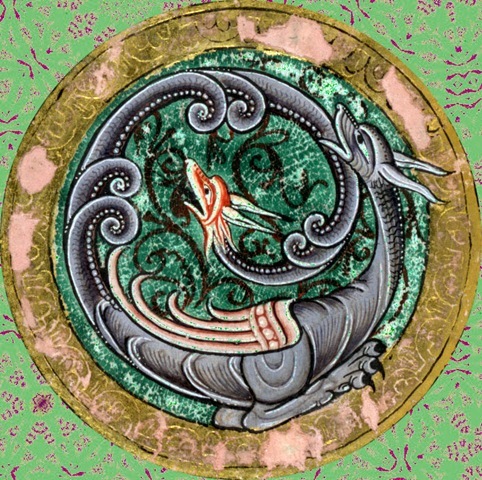 Sympathetic, imaginative, Pisces finds difficult sometimes to cope with the demands of a practical life. It can thus become an escapist, avoiding responsibilities, or falling into addictions. Easily led or victimized, too passive, because of a weak sense of self. Pisces needs romantic, inspiring relationships, soul-mateship, and also some practical help, emotional acceptance, nurturing. 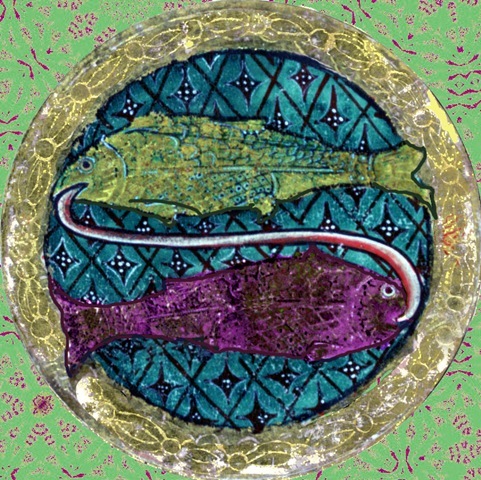 Pisceans forgive and feel true sympathy, their link with the Spirit World is strong, though often unconscious.